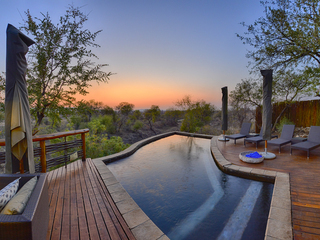 Madikwe Game Reserve is fast gaining a reputation as one of South Africa’s premier safari destinations. Four hours drive from Johannesburg this reserve covers an area of over 680 KMsq and is home to all of the Big 5, as well as the elusive wild dog and over 300 bird species. A big advantage of Madikwe is that it is malaria free. After four days of safari, you will return to Johannesburg and board your flight to the sparkling Indian Ocean beaches of Mauritius. For the next week, relax amidst the warm hospitality, white sand beaches, exclusive facilities and excellent water sports that Mauritius is renowned for. 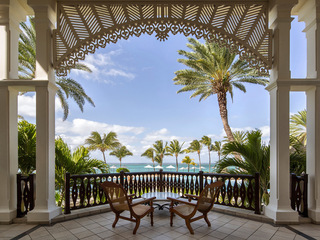 Mauritius is renowned for its larger upscale resorts and the Residence Mauritius is an excellent choice with its spa, swimming pools, tennis courts and plenty of opportunity for diving, snorkelling and sailing. This holiday is a tailor-made itinerary. Our South Africa specialist will be delighted to discuss alternative options if you have a hankering to visit Cape Town, safari in Kruger or upgrade any of the hotels. Return transfer to Johannesburg Airport and fly to Mauritius where you will be met and transferred by road to your beach hotel for the remainder of your holiday. You will be picked up from your hotel to begin your journey home. There are regular flights from UK to Johannesburg. The connection from Johannesburg to Mauritius is twice a day and is only four hours flying time is 4 hours. There are regular direct flights returning into London or via for connections to other parts of the country.